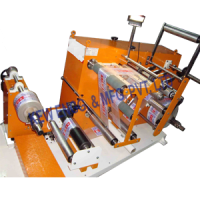 Doctoring Slitting Rewinding Machine for Batch Printing designed and built with Speed: 100 to 150 Mtrs / min. 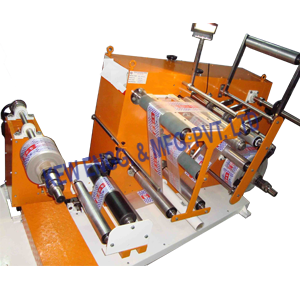 For Laminates like Film, Paper, Aluminium Foil, PVC, Plastic, LD, LDPE, PP, BOPP, Cloth, Biscuit Wrapper, Oil Wrapper, Soap Wrapper, Detergent Wrappers and many more. Salvage Rewinding (Correcting badly Wounded Reels for Inspection & Doctoring Operation.) Printing of Mfg. Date, Expiry Date, Batch No., Sr. No.